March 20th marks the end of winter and the beginning of warmer times- spring! In honor of the first day of our favorite season, we've gathered five simply stunning bouquets that highlight everything we love about this time of year. From peonies to roses to greenery and more, we can't get enough of these pretty blooms. A splash of citrus paired with modern bridal attire makes this styled shoot a stand-out beauty. Pretty yellow hues paired with blues and oranges make for a vibrant palette unlike any other. 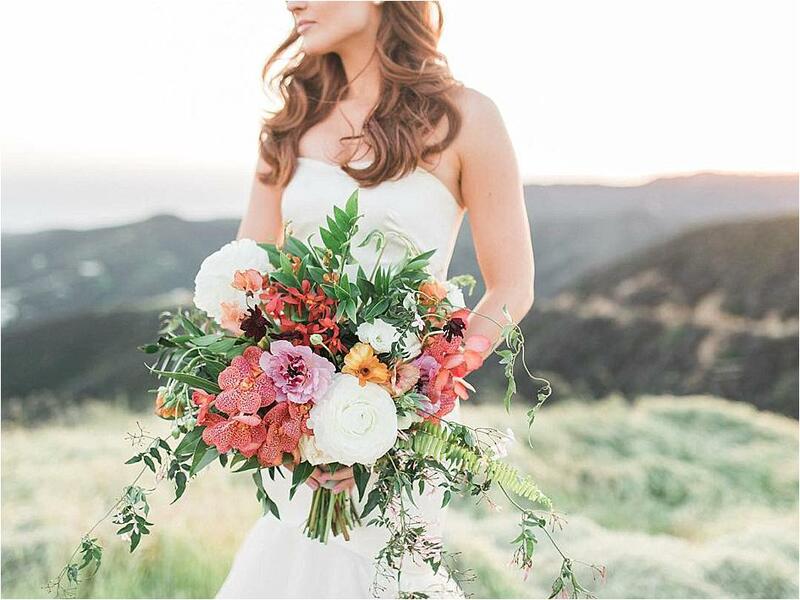 This inspiring bouquet is perfect for a spring wedding in SoCal! This romantic bridal look has stolen our hearts! We're loving this sophisticated lace wedding gown paired with a lovely bouquet of greenery and white roses. Delicate hints of pink add a soft touch of beauty while matching the breathtaking floral lace detailing of the gown. This lovely bouquet by Unique Floral Designs screams spring. A vibrant romantic color palette paired with textured greenery creates volume galore, while pops of cream beautifully complement the stunning white wedding gown. This combination is a surefire way to wow on your wedding day! Pretty purples and luscious blooms make this springtime look simply gorgeous. Regal gold accents and hints of lilac and pink add to the beautiful color palette, while complementing the sophisticated design of this styled shoot. Oranges and reds are often thought of for autumn weddings, but when paired with soft blushes and pretty greenery, this color combo is a true winner for the spring months. The addition of trailing ribbons in hues of orange and cream create a delicate yet bold statement for your bridal look. We find petite bouquets a refreshing change from the oversized, huge bouquet trend that has dominated the wedding aisles the last few years. Summer is finally here and we could not be more ecstatic! 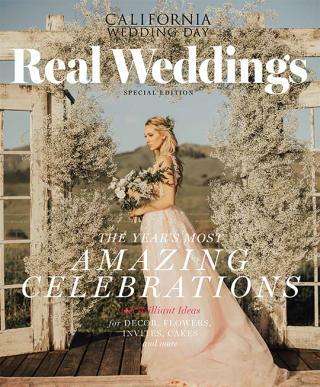 With summer comes one our favorite elements of any wedding: the floral design.